Carving detail from the corner of the dining room table. 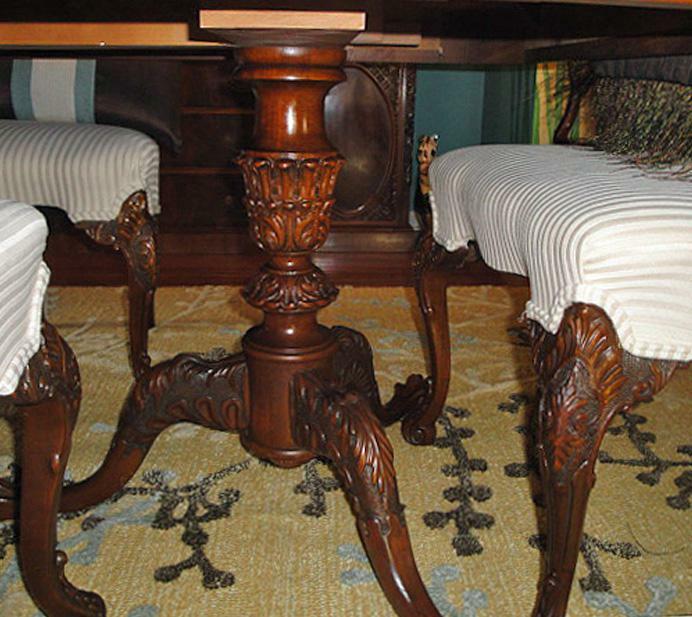 Table pedestal and chair leg detail. 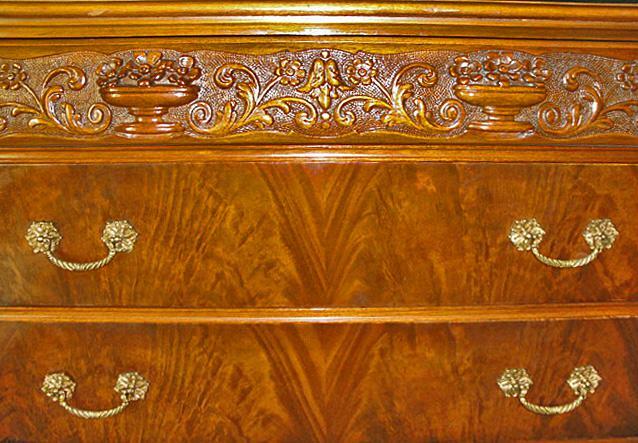 Veneer detail from buffet drawers. 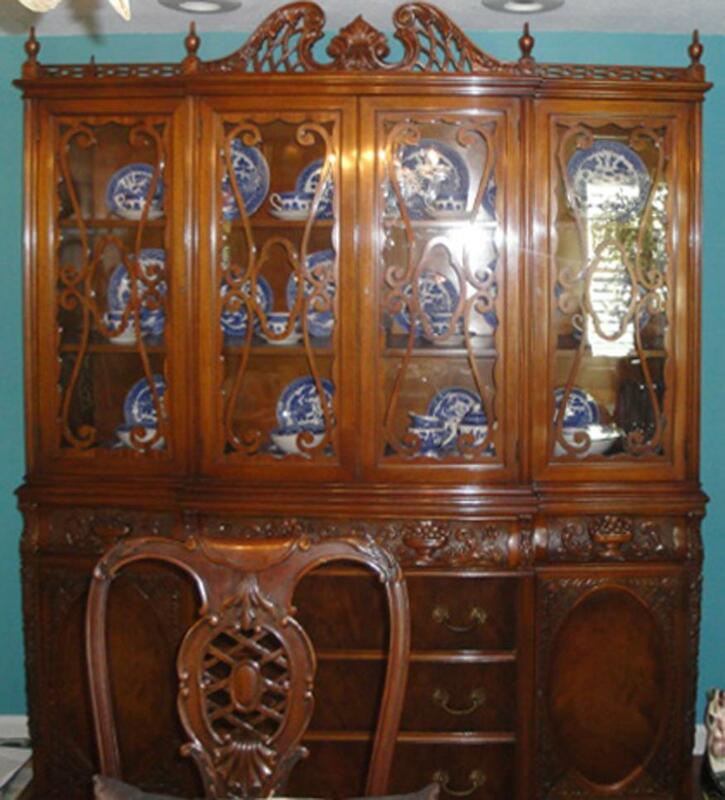 China cabinet, full view. 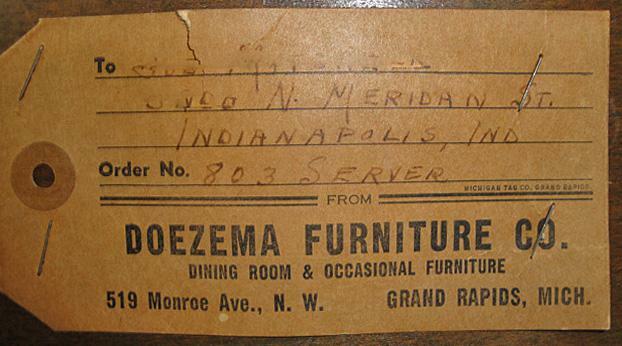 Doezema Furniture Co, label. 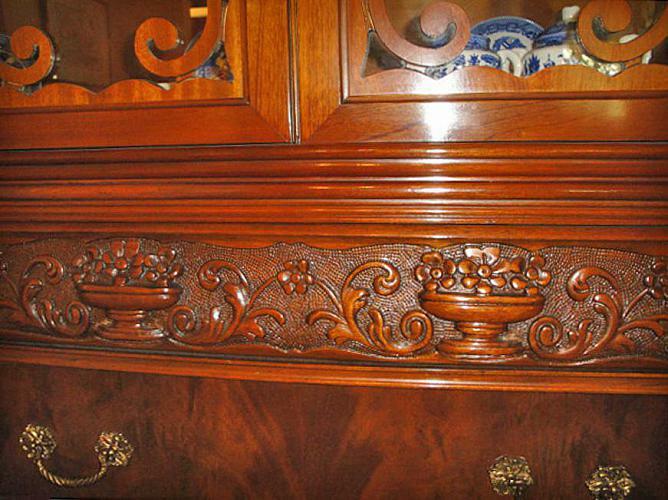 Manufacturer of exquisitely carved furniture, dining and bedroom furniture, end tables, and occasional furniture, including several pieces that were placed in the White House. John Doezema designed the intricaltely carved pieces based on the Renaissance and Chippenale styles. Riner Doezema was in charge of manufacturing and marketing. 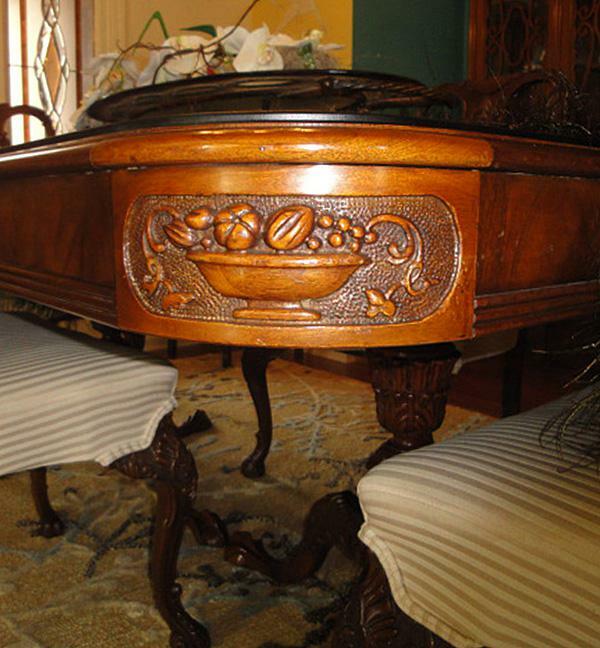 Barbara Capehart shared the details of her dining room set manufacturered by the Doezema Furniture Co: china cabinet, buffet, table, and 6 chairs.